L15 No Road Willow, AK. | MLS# 19-560 | Mossy Oak Properties | 907-357-5100 | Wasilla AK Homes "For Sale" Alaska Businesses "For Sale"
This property on the Banks of the Big Su River has it all. Comes fully furnished and pre equipped with all the toys and tools to live comfortably. This property would be a great location for a corporate retreat,lodge or just a great family home. 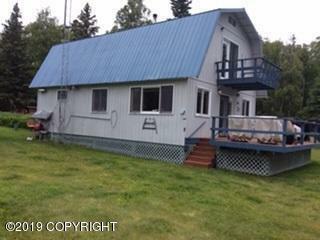 Located on the bank of the Big Susitna River and the Yetna River it has it all. Great fishing and hunting are right out your front door. If needed it even comes with a boat to go up or down river to see and experience all that this area is known for. In the winter watch the Iditarod dogs go by or get a some sled dogs and mush from here. Fully equipped with Generators,6 and 4 wheeler,mowers,and other equipment that will make living here a breeze.